Joseph Muscat’s government was embarrassing all Socialist MEPs, Ana Gomes, vice chairwoman of the European parliament’s Panama Committee said yesterday. Ms Gomes, a Socialist MEP herself, also revealed that the Prime Minister’s chief of staff, Keith Schembri, had again turned down an invitation to appear before her committee. She said Mr Schembri was invited by the committee to reply to questions in a session to be the held in Strasbourg next month after he had refused to attend a meeting held in Malta last February. Ms Gomes pointed her fingers at Dr Muscat, adding that the prevailing situation was grossly embarrassing the Socialist group. “Despite his refusal, the Maltese government should know we will continue asking for Mr Schembri’s appearance. This is very embarrassing because this is not just about Mr Schembri, the Prime Minister’s chief of staff, but it’s about the conduct of the Maltese government as a whole, particularly since it is currently at the helm of the EU,” she added. Asked whether, in the continued absence of Mr Schembri, the European Parliament might consider calling Dr Muscat himself, Ms Gomes said such an eventuality was not on the cards yet but nothing could be excluded. “Let’s see whether Dr Muscat will ask his chief of staff to rethink. That’s the best way forward,” she said. “At the European Parliament we are very sorry to hear that more allegations about Mr Schembri and Dr Muscat are surfacing,” she added. With regard to the Minster Within the Office of the Prime Minister, Konrad Mizzi, who had appeared before the committee in Malta last February, Ms Gomes said that although the committee felt he was not convincing at all it noted that he had respected the European Parliament and tried to reply to the questions. “He was not convincing as he failed to provide an answer as to where the money he was supposed to put in his Panama company was coming from,” she noted. Ms Gomes said that as a member of the Socialist Group – the second largest political force in the European Parliament – she felt that Dr Muscat’s government was embarrassing all Socialist MEPs. “I know that many members of the Socialist group feel very uneasy with the conduct of the Maltese government and its non-cooperation in our probe. Even Maltese Socialist MEPs feel very uncomfortable with what is going on and with Dr Muscat’s government’s attitude,” she said. While refusing to go into the latest claims involving the Prime Minister and his wife, Ms Gomes said that, in the case of Mr Schembri and Dr Mizzi, there were more than allegations. “We have evidence that they opened Panama companies just after entering into government. We cannot just turn a blind eye to all this, especially now that we are talking about those who are heading the EU,” she added. “Where is the credibility of the EU if the country that is heading it (Malta) is ducking very serious allegations of money laundering and corruption,” she asked. Ms Gomes pointed out that it was in the EU’s interest that the Maltese government would give an explanation of its actions. The committee is expected to meet again next week when Mr Schembri’s refusal to appear will be discussed. Questions sent to Mr Schembri to explain his latest refusal to appear before the Panama committee remained unanswered at the time of writing. 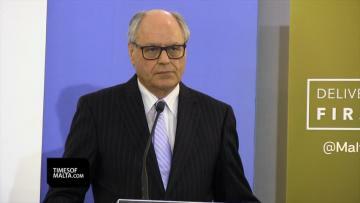 Finance Minster Edward Scicluna said that although as a former MEP he respects his colleagues at the European Parliament, “they are just speaking about what they hear”. Prof. Scicluna said that Socialist MEPs' criticism was based on allegations and what they heard and read on the media. Asked whether it was wise for the Prime Minister’s chief of staff Keith Schembri to continue to refuse to appear in front of MEP’s, Prof. Scicluna said that he could not speak for Mr Schembri. “He knows how best he should defend himself”, the minister said. Dr Muscat’s chief of Staff was outed by the Panama Papers as having a secret company in Panama, with PN leader Simon Busuttil having also accused him of receiving kickbacks from the sale of passports. During a press conference together with Family Minster Michael Farrugia, the Finance Minister said that as of next week the government would be receiving applications to compensate some 5,000 people who are owed money, including members of the police force and other employees of former state entities. The measure was announced in the last budget.